As the newest benchmark for advanced technology in a smart phone, the Samsung S4 will debut sometime in the first half of the 2013 year. While the S3 is still hot off the presses, having only been released recently, there are plenty of rumors swirling about what features and gadgets the Samsung Galaxy S4 (Read more about this gadget) will have to offer customers. This new Samsung phone is designed to be able to compete with Samsung's main adversary in the mobile phone market, the heavyweight Apple iPhone 5 that has recently hit the shelves and become one of the best-selling smart phones in history. 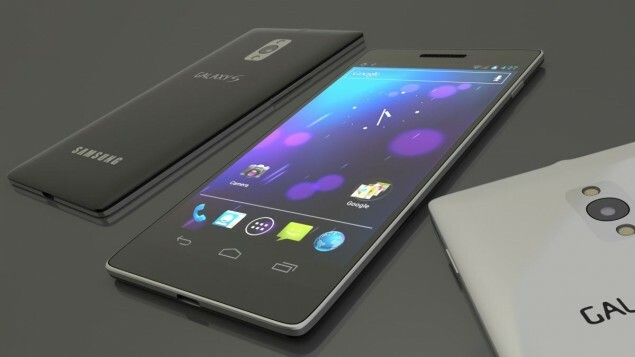 Some Samsung S4 rumors are believable, while others push the boundaries a bit. Given that the S3 sold twenty million copies in the first three months, there are very lofty expectations for its performance. The biggest rumor that has leaked from Samsung's development office is that the screen on the new Samsung phone will have a complete 1080p resolution, capable of projecting images with the same clarity and definition as a plasma screen television would. Though the difference between a smart phone and a sixty-inch television is a bit stark, it is believed that the S4 will boast a five-inch screen, one of the largest in the entire market and a full one and a half inches larger than the newest Apple iPhone. With 1280 by 720 pixel resolution, furthermore, it beats Apple's display efficiency by well over ten percent. The mobile phones of today have more computing power than the desktops of yesterday. With an internal storage of up to sixty-four gigabytes and an additional one gigabyte of RAM memory, the Samsung S4 is the best computing phone on the market. Its specs are more powerful than the laptops you could buy five years ago. With quad core chips, this is the most beefy processor on the market by a mile -- no other smart phone offers a quarter of this power. This, however, means that the battery life for the S4 would probably not be strong. A mobile phone that ran a sixty-four gigabyte processor continuously would run out of battery power in about thirty minutes. One of the greatest advantages of the gadgets within a cell phone is that they allow for easy photography on the go. Samsung has produced cameras long before they produced mobile phones and the S4 is believed to be a trend-setter for the phone camera industry upon its release as well. A thirteen megapixel camera with a four thousand by three thousand resolution blows away the competition, offering the chance to shoot professional-grade photography with just a click of a button in your hand. The biggest Samsung S4 rumors are about the phone's release date. Korean news has stated that it will be officially announced to the world during the Mobile World Congress in Spain, though the company denied this rumor. It will likely launch in summer of 2013, one year after its S3 shattered sales records. Author Bio: It is amazing how the latest gadgets and technologies have improved the way we do things. Marcus Vann has a keen interest in reviewing the latest developments, and the way they touch our lives. It does not matter whether it is a simple plugin or elaborate gadgets, the important thing is to consider, how it has changed our lives for the better.